The Authentic Aylesbury Duck has white feathers and a pink beak. The flesh is pale, soft and tender, with little grain and is less fatty than most other duck types. 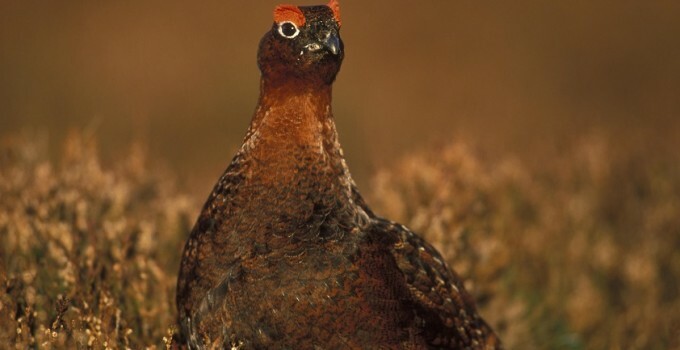 The Red Grouse is a medium sized (single portion) game bird. From both a taste and a shooting perspective it is widely considered to be the finest game bird in the world. Nestled among the heather clad hills of South-West Scotland, the Blackface Meat Company aims to provide the public with the highest quality game available, as well as locally reared lamb, mutton, beef and pork. The Norfolk Grey (Gallus gallus domesticus) is a rare chicken breed which originated in Norwich but is now reared across the UK.